The JSE closed weaker on Tuesday as it tracked other global markets lower following the International Monetary Fund's downward revision of its global growth forecast. The IMF's latest edition of the World Economic Outlook released on Tuesday showed that the fund lowered its world economic growth forecast for 2019 to 3.3% from 3.7%. In 2020 the world economy is now expected to grow by 3.6% instead of 3.7%. South Africa's economic growth rate was also revised downwards from 1.4% to 1.2% for 2019. Trade tensions have escalated between the US and the European Union as Donald Trump has threatened tariffs on at least $11bn worth of products, over the current aircraft dispute between US and European aircraft manufacturers. This was another factor which led to weaker sentiment in Tuesday's trading. The US dollar traded softer as a result, with the US dollar index falling as much as 96.86 index points on the day. This supported the rand as it managed to advance to peak at a session high of R14.00/$. At 17.00 CAT, the rand was trading 0.51% firmer at R14.02/$. 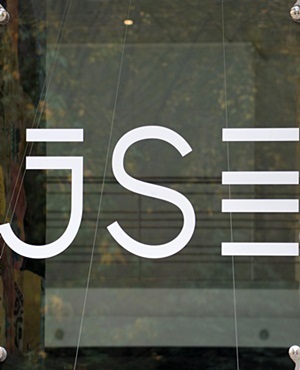 On the local bourse, diversified miner South32 [JSE:S32] came under pressure as it fell 4.19% to close at R37.00 as it finished Tuesday amongst the day's biggest losers. Luxury goods retailer, Richemont [JSE:CFR] also struggled as it fell 3.88% to end the day at R97.87, while Quilter [JSE:QLT] lost 2.6% to close at R27.38. Platinum miner Lonmin [JSE:LON] weakened by 1.88% to close at R15.64, while Northam Platinum [JSE:NHM] fell 1.79% to close at R65.70. Listed property stocks had another rocky day as losses were recorded for Accelerate Property Fund [JSE:APF] which closed 3.22% weaker at R3.01, Hammerson PLC [JSE:HMN] which lost 2.22% to close at R60.82, and Intu Properties [JSE:ITU] which closed at R18.62 after dropping 2.51%. Dis-Chem Pharmacies [JSE:DCP] found some momentum as the stock climbed 3.56% to end the day at R25.58. Aspen Pharmacare [JSE:APN] advanced 2.53% to close at R97.92, while Adcock Ingram [JSE:AIP] managed to post gains of 4.49% to close at R64.00. Retailers were buoyant as the rand strengthened against the US dollar. Mr Price [JSE:MRP] added 2.77% to close at R196.30, Truworths [JSE:TRU] gained 1.55% to close at R71.50, and Woolworths [JSE:WHL] added 1.29% to close at R46.19. Multichoice [JSE:MCG] rose 1.51% to close at R128.72, while Discovery [JSE:DSY] closed at R140.86 after gaining 0.61%. The blue-chip JSE Top-40 index eventually closed 0.27% weaker, while the broader JSE All-share index shed 0.25%. Industrials lost 0.1%, Resources closed 0.47% lower, while the Financials index lost 0.3%. Brent crude pulled back to below $71/barrel in Tuesday's session as it paused from its rally. The commodity was trading 0.8% weaker at $70.52/barrel just after the JSE close. At 17.00 CAT, Platinum was down 0.78% at $902.20/Oz, Gold was 0.51% firmer at $1 304.09/Oz, and Palladium was up 0.4% to trade at $1 391.45/Oz.